This modern design hostel offers colourful dorms with free Wi-Fi, a terrace and a chill-out lounge with flat-screen cable TV. 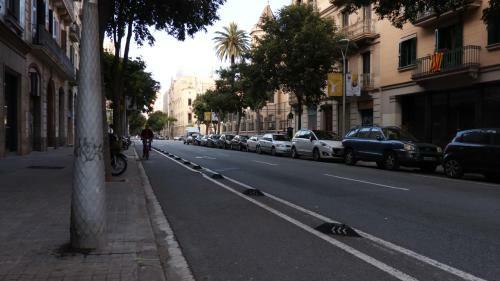 It is located 600 metres from Passeig de Gràcia Boulevard. 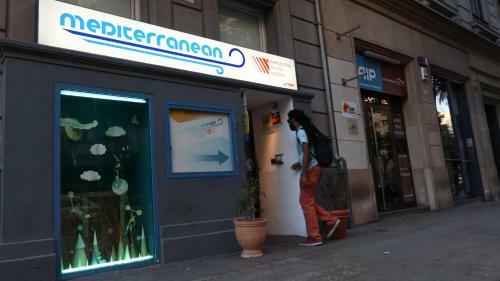 All dormitories at Mediterranean Hostel Barcelona include air conditioning and individual storage lockers. 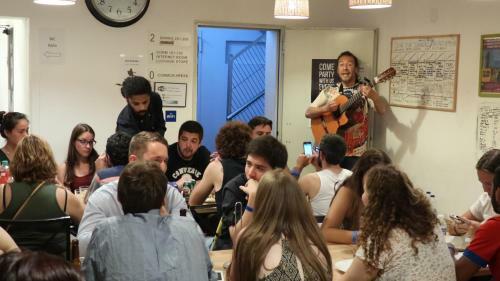 Mediterranean Hostel has a well-equipped communal kitchen, vending machines and a free computer corner. Staff at the 24-hour reception are happy to provide you with city maps and information. 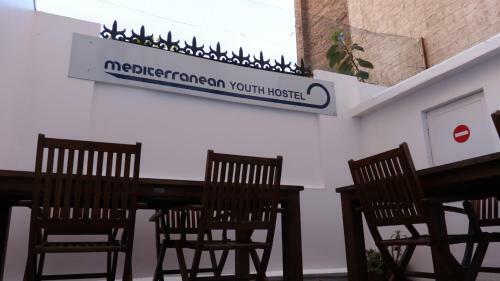 The hostel is situated in a quiet area of the Eixample Dreta district, just 100 metres from Girona Metro Station. Estació del Nord Bus Station is a 15-minute walk away. Please note, towels are available to rent for a € 2 per towel. Please note that the property does not take responsibility for any postal deliveries. One bed in an air-conditioned dormitory, with free Wi-Fi, individual storage lockers and access to shared bathroom facilities on the same floor. Sheets are provided and towels are avaialble to rent. Please note that children under 7 and adults over 45 are not permitted in these rooms. Rate: € 45.59 ... € 49.00; select dates below to get current rates. This bed in dormitory features a electric kettle, washing machine and computer.